The island needs visitors now more than ever. Here's how you can give back once you're there. 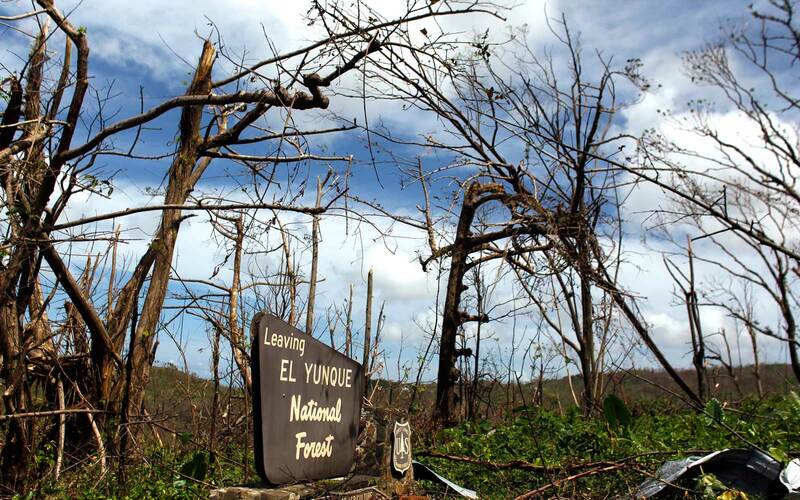 El Yunque, the rainforest and national park in northwest Puerto Rico, was once a wall of green, the path shaded by a lush canopy of mahogany and ironwood trees. Now hikers squint into the sunlight, and scraggly patches dot the mountainside where Hurricane Maria ripped through. In some areas, as much as 40 percent of the forest is gone, says Carlos Rodríguez Gómez, a guide with environmental conservation group Para La Naturaleza. Despite the destruction, much of the park has reopened in recent months, but it’s had only a fraction of the usual visitors due to road closures, misinformation, and the hit Puerto Rico’s tourism economy has taken since the storm. In the wake of disaster, it’s hard to know when it’s OK to return as a leisure traveler. Going too soon feels wrong — it’s callous to idle on the sand while people are facing unfathomable loss, and slimier still to do the touristic rubbernecking or performative volunteering that makes a spectacle of suffering and hinders the work of the real helpers. But steering clear too long only hurts the place, starving local businesses of much-needed revenue and ensuring the climb back to normalcy will take that much longer. There’s a sweet spot to aim for, when the worst of the devastation has passed, recovery is well underway, and the businesses and attractions that travelers flock to are once again opening their doors. For Puerto Rico, that welcome mat is out, and since tourism makes up 10 percent of the island’s GDP, planning a trip is one of the best things you can do to help now. In San Juan, there’s little sign of Hurricane Maria’s devastation. 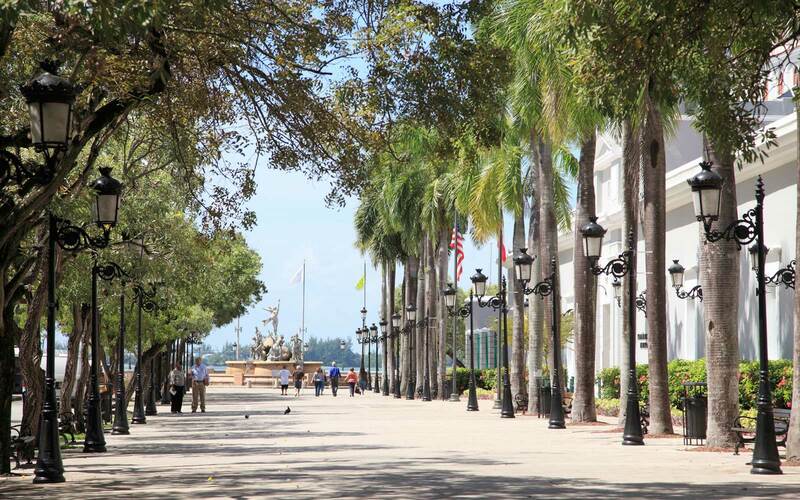 Tourists stroll the waterfront at sundown, the resorts are open for business, and crowds throng the bars of Old San Juan well into the wee hours. There’s even a new hotel, the 96-room Serafina Beach Hotel, from the team behind the NYC restaurant of the same name. Most hotels have reopened island-wide, with just a few remaining stragglers (like El Conquistador Waldorf Astoria, reopening in August, Dorado Beach, a Ritz-Carlton Reserve, reopening Oct. 1, and the St. Regis Bahia Beach Resort, also set to reopen in October after a $60-million facelift). By next year, the island is expected to have an additional 3,800 rooms thanks to forthcoming arrivals like Four Seasons Cayo Largo, a new JW Marriott, and two ALOFT properties. Most travelers today won’t see the lingering aftereffects of Maria — the mountain villages still without power, the coastal preserves laid waste by flooding and winds. You could easily while away a long weekend crisping on the sand, sipping tropical drinks, and eating your weight in mofongo without noticing anything’s amiss. 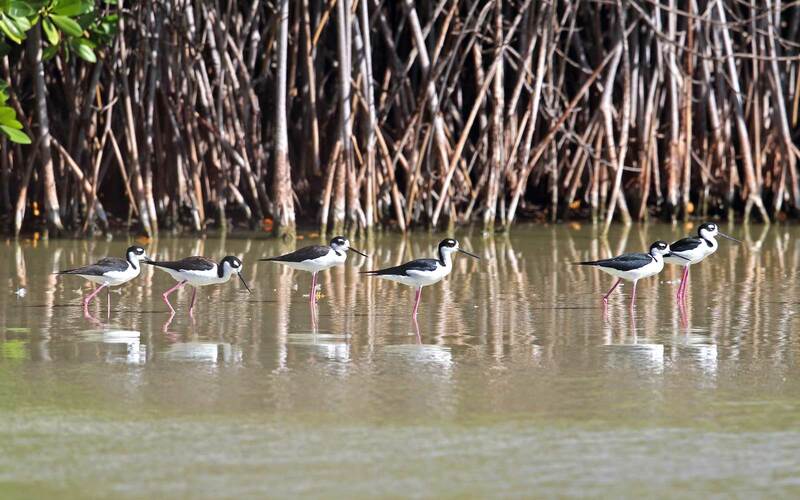 But seven months after the storms, there’s still work to be done, and Para La Naturaleza is connecting visitors with experiences that let them see the country while helping with recovery efforts. For first-time travelers reluctant to miss any of the sights, a number of PLN programs incorporate so much adventure and sightseeing it’s easy to forget you’re contributing to a good cause. Rappelling down San Cristobal Canyon supports conservation efforts in the area, a snorkeling trip to a coral reef or mangrove forest might include collecting data on local flora and fauna, and nighttime kayaking to the bioluminescent Mosquito Bay helps fund initiatives to reduce light pollution. Most tours are less than $15, with private and group options available on request (you can book most tours online, but for special requests email reservaciones@paralanaturaleza.org). If you’re interested in a more hands-on volunteer effort, PLN has a number of free programs that teach visitors and residents about the local environment while helping hurricane-damaged areas bounce back. Sign up for a tree planting and you can help endemic species recover in Cabo Rojo or Barranquitas. In Manatí, you can pitch in on coastal cleanup efforts or log and excavate the nests of invasive iguanas, making room for native fauna to reclaim their place in the ecosystem. PLN’s guides lead nighttime hikes in the island’s northernmost stretches to document the population of the endangered crested toad, native to Puerto Rico. And for amateur archaeologists, a free program lets travelers join experts on a field dig, excavating pre-Taíno artifacts in partnership with the Institute of Puerto Rican Culture. 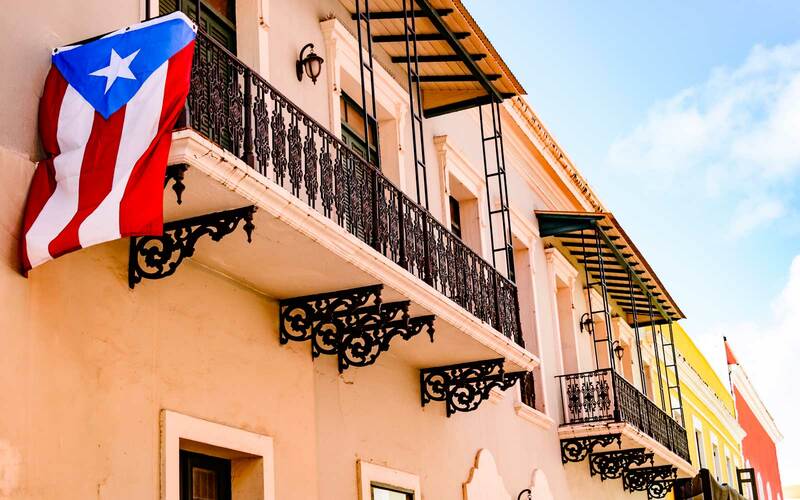 There are still more opportunities to come later this summer: PLN is teaming up with the National Trust for Historic Preservation to start volunteer restoration and preservation programs across a number of Puerto Rico’s historic sites. PLN’s not the only travel organization helping visitors give back. Explora PR, an adventure travel company, and Vámonos, a student-centric tour operator, both offer volunteer opportunities. Local Guest, an experiential travel nonprofit led by a team of Puerto Rican women, can plan excursions that pair cleanup efforts with out-of-the-box adventures, like spelunking in the Cabachuelas cave system. If you have vacation days to spare, All Hands and Hearts- Smart Response will offer flight vouchers to Puerto Rico in exchange for a two-week volunteer commitment at their sites in Barranquitas and Yabucoa. Airlift is expected to reach pre-hurricane rates within the next couple months, and with more than 400 flights a week from the U.S. — many priced under $300 — it’s one of the easiest and most affordable ways to have a tropical vacation without a passport. The road to complete recovery will be long, but so many of the island's pleasures are unchanged: the sweet-salty crunch of pan de Mallorca, the vertiginous views of karst haystacks from a hillside café, the ceaseless night songs of the coquí. Experiencing those things for yourself — and spending freely and lending a hand while you're there — is the best way to help fellow Americans rebuild their island idyll.